Thanks to Jeanie Lowe for the taking and submitting the above photos. 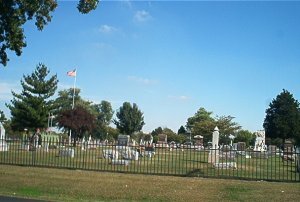 If you find errors which need corrected or have additional information which should appear on one of the cemetery listing, let me know and I'll make the corrections. 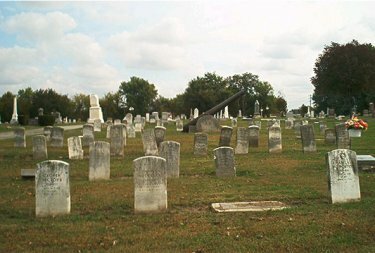 This is a large old cemetery. 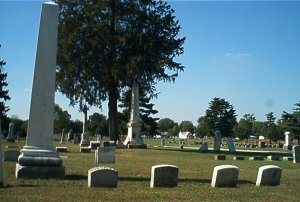 There are many many graves without markers, some of the graves were probably never marked, others may have been marked at one time, but the stones have since been lost or broken. There are a good many "piles" of broken stones or stones which have fallen and been stacked up in the oldest Sections of this cemetery. There are also a large number of metal funeral markers which were used as permanent markers set in concrete - the letters have vanished, leaving the blank metal plate containing no information. In any old cemetery such as this one there are old markers which are either impossible to read or impossible to read accurately. 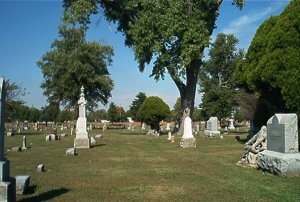 When I completed the process of reading the cemetery, I compared my list to the lot records extracted by Florence and to the list of deaths extracted from Morgan County records at various times. I merged the lists together, adding those names which weren't recorded during my reading. 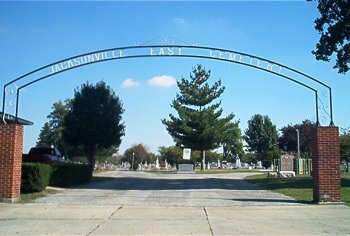 The entries added from lot/cemetery records generally consist of only a name or perhaps a name and age; the entries taken from death records usually include a name, death date and, perhaps, an age. 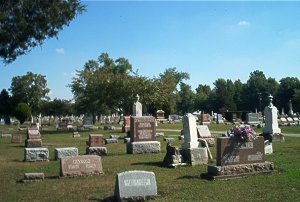 I've attempted to avoid duplicating entries - unfortunately names on each of the three records (tombstones, cemetery records and death records) are spelled in a variety of ways so you may encounter some duplicates. Information enclosed in ( ) has been added and does not appear on the stones. All Rights Reserved ©Copyright 2000, 2001, 2002 All material contained on these pages is furnished for the free use of those engaged in researching their family origins. Any commercial use, without the consent of the host/author of these pages is prohibited. All persons contributing material for posting on these pages does so in recognition of their free, non-commercial distribution, and further, is responsible to assure that no copyright is violated by their submission.